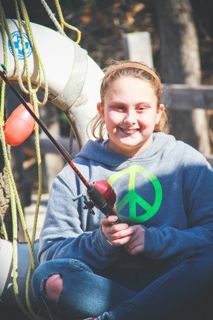 Camp Chippewa offers a wide range of activities for all ages! 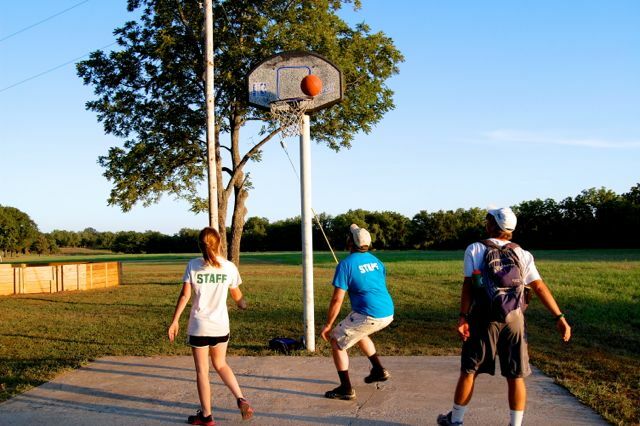 Whether you add an activity to your retreat schedule while staying overnight at the camp, or just come in for the day, we have just the right experience for you! Contact our office for current rates and to schedule any of these activities! 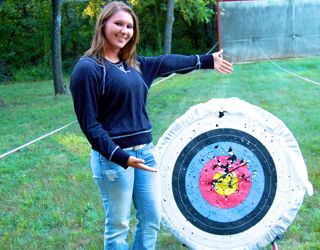 Our instructors are USA Archery Level 1 certified. 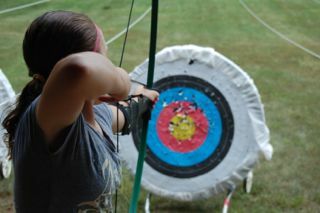 Camp Chippewa offers a 6 lane archery range while utilizing recurve bows and round, foam targets. 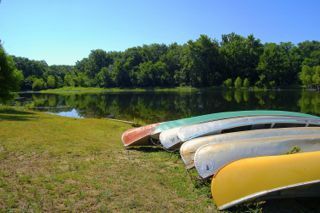 Welcome to Briscoe Lake, the perfect place to go canoeing and peddle-boating! Briscoe Lake is about a 1 mile hike from the cabins, although there is vehicle access to the lake as well. 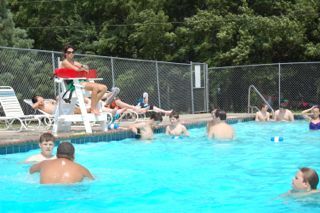 All waterfront activities are monitored by Red Cross certified lifeguards and staff. 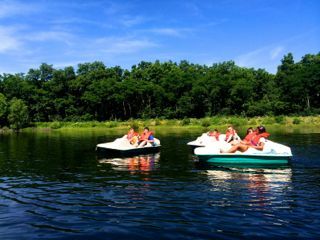 We suggest children be at least 10 before canoeing, but all ages are welcome to peddle-boat! Life-jackets are provided. 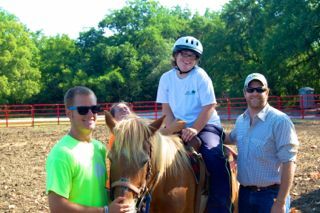 Our wranglers are CHA Certified to help ensure you have the best experience possible at the barn! 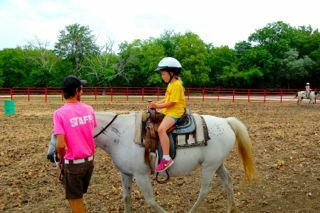 Please take a look at our Horseback Riding Policies & Guidelines ! Note: There is a 250 lb weight limit with all horse activities. Lead Rides: Laps around the arena led by our experienced staff. 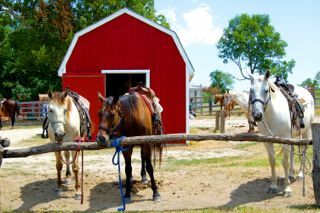 Trail Rides: Trail Rides led by our experienced staff. Riders will be matched up with horses based on the Wranglers evaluation of the riders. Must be 10 years or older. 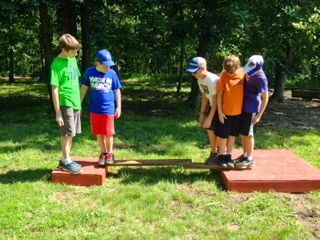 Our Low Ropes course is a great way to build trust, communication, and initiative within a group. Led by trained staff, the group will go through a series of elements to help build on those skills. 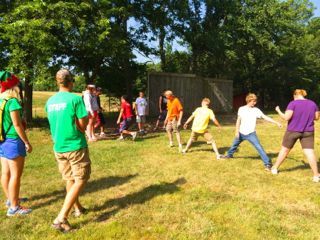 The course can be tailored to your specific group and goals (a middle school youth group, a sports team, men’s retreat…. ), just let us know when you are booking and we can design the right program for you! 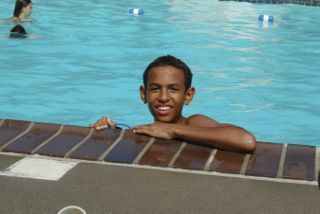 Our pool is open mostly during the summer months. It features a full pool house and picnic area. 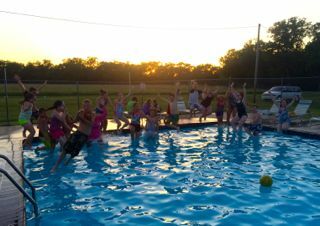 Our pool has a zero-depth entry that is ADA compliant, a maximum depth is 6 ft. and a capacity of 75 people. All of the lifeguards on staff are currently certified through the Red-Cross. All of these activity areas are included in an overnight rental. They are also available for day use! 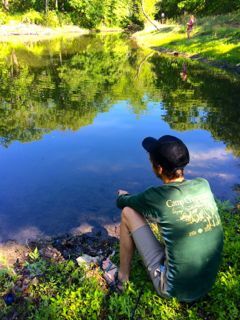 We have multiple ponds to fish in! We provide pole rentals for $5.00 a pole for the day. All fishing is catch and release. 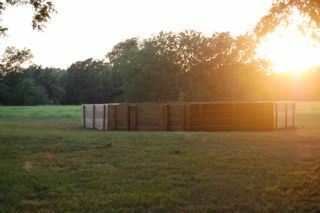 Located across from our South Cabin, we have a kickball/softball field, 2 Gaga Ball pits, a half basketball court, and tether-ball. 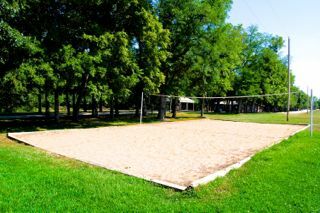 We have 2 sand volleyball courts available to groups. One is located across from the Dining Hall, next to the pool and across from North Cabin. 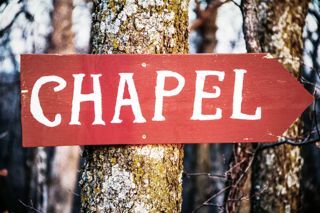 The other is located across from Asbury Lodge. 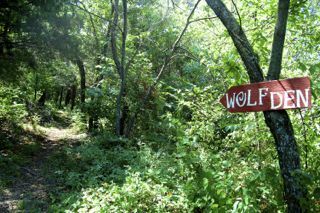 Camp Chippewa sits on 660 acres in the Chippewa Hills. 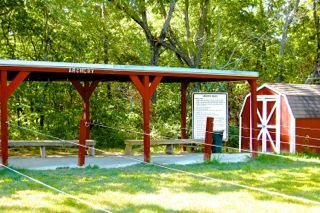 We have miles and miles of beautifully maintained trails perfect for any activity level.